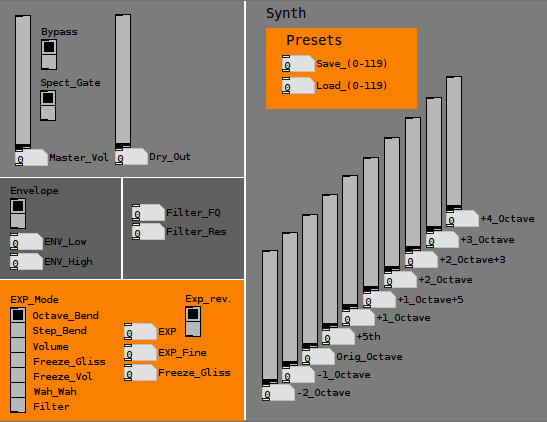 The following are puredata patches for controlling external hardware via MIDI. Each is designed for specific pieces of hardware. If you would like to demo the software feel free to email me and I will send the software with instructions. I have created my own 4 voice interface for Dave Smith’s Tetra. The sequencers have not yet been programmed in but otherwise it is a complete implementation. The idea is to create a software that is then programmable to be implemented with other hardware interfaces. Currently I am working on implementing this with the Strombophone, though soon with the new Orbs that I am working on. 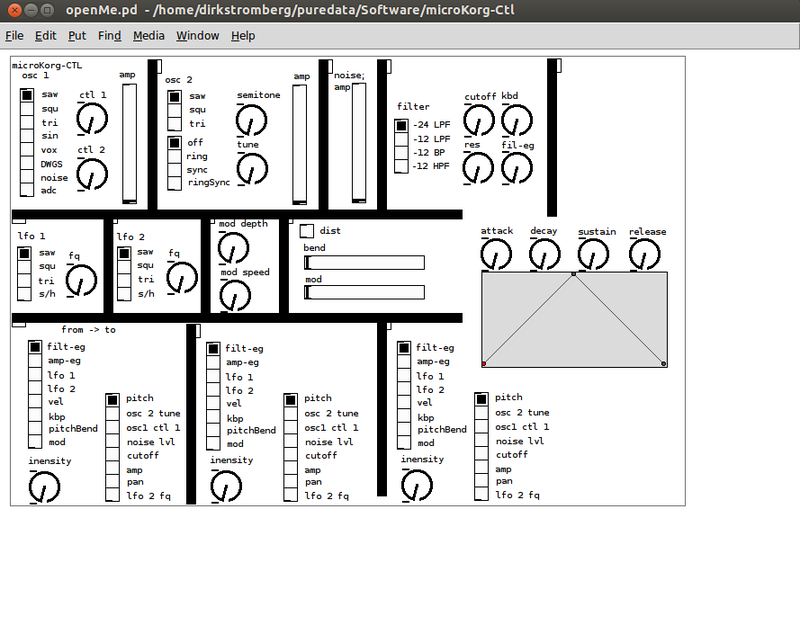 This is a screenshot for my new micoKorg interface. This allows for an analog like interface for the hardware. This then could be used to work with other kinds of controllers. The software will work in PD (need not be extended version). Some understanding of the fundamentals of PD is helpful. You will need to be able to input numbers into number boxes.The patch has been designed to be modified for other controllers. The work will be be included in the extended guitar. If there are an problems do feel free to email me. A software interface for MicroKorg. The software will allow for an easy interface for the MicroKorg as well as allowing for external control of the hardware.